Mind the markings on the camshaft bearing caps. Camshaft bearing caps should be installed in their original position. 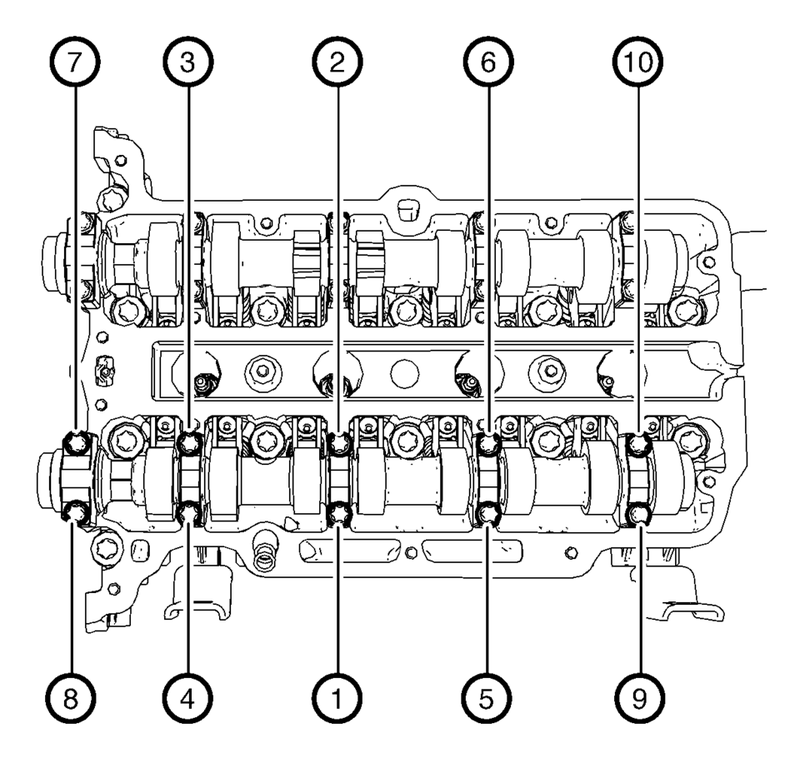 Install the 5 camshaft bearing caps (2). Install the 10 camshaft bearing cap bolts (1) and handtighten. 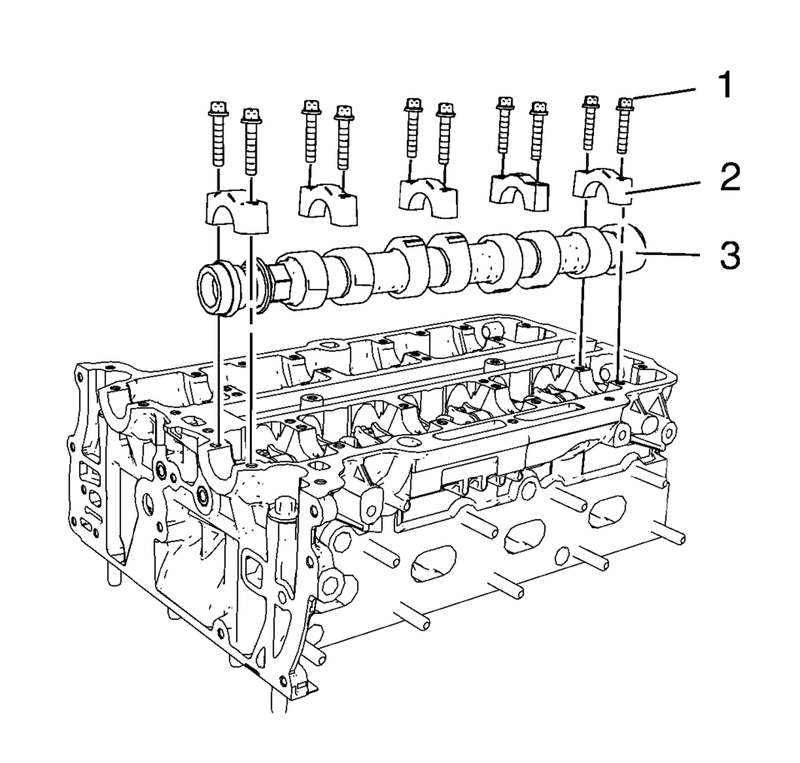 Tighten the camshaft bearing cap bolts one turn at a time in order to avoid shape distortion of the camshaft.